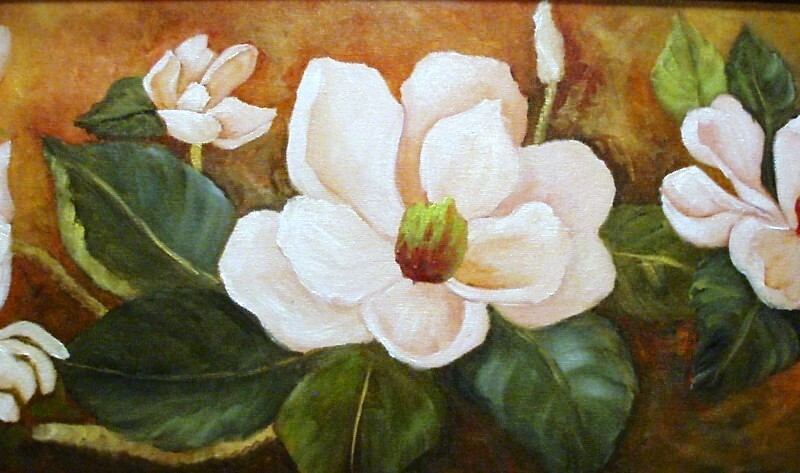 Pink Rose on Blue is done with oils on a canvas panel. The rose was one of my new flowers. I think I will painting lots of them so that I can do one that is perfect.. Well maybe. 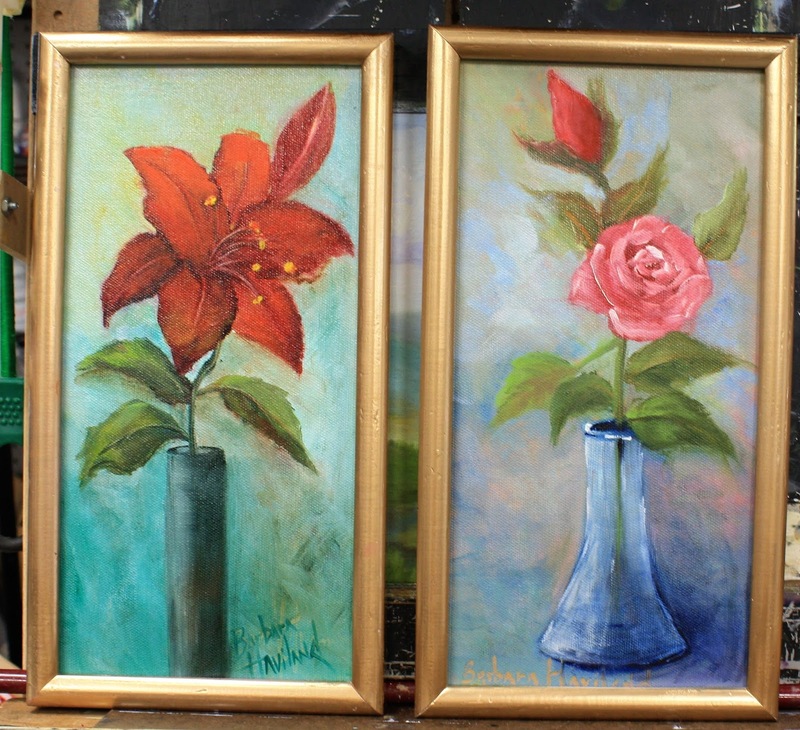 Red Lily OR Pink Rose are done in oils , framed and signed. Each one is 100.00 Plus 10.00 shipping. If you would like to purchase both please email me.